Atlanta/Toronto – January 19, 2017 – Call2Recycle, Inc., North America’s first and largest battery stewardship and recycling organization, today reported that consumers recycled a record-setting 14 million pounds (6.3 million kilograms) of batteries and cellphones in collections throughout the U.S. and Canada in 2016. Enhanced accessibility and consumer awareness played a vital role in driving the 12 percent increase in total weight of materials collected and responsibly recycled by the organization over 2015. This major environmental achievement marks the twentieth consecutive year of increased collections by Call2Recycle, contributing to the 129 million pounds (58 million kilograms) of batteries diverted from landfills over the past 21 years. The continued year-over-year growth of the battery stewardship program is a result of strong, collaborative relationships between Call2Recycle and its robust network of committed industry stewards and collection partners, including retailers and municipalities. 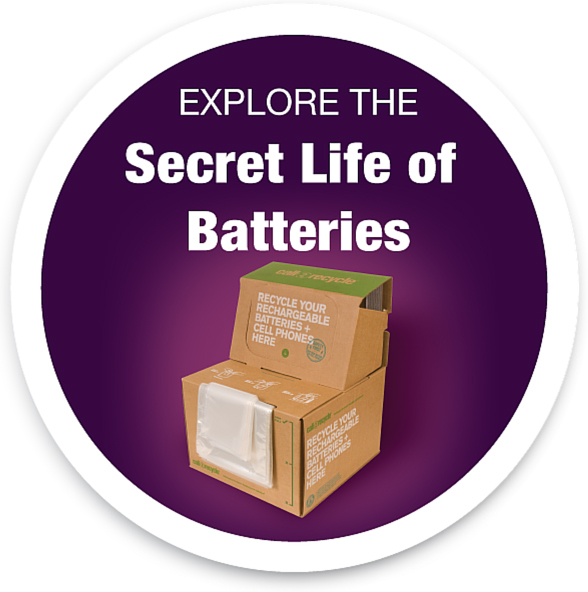 Through these partnerships, rechargeable and primary battery collections in the U.S. amounted to nearly 8 million pounds (3.6 million kilograms) last year — an 11 percent increase over 2015. Collections from public, consumer-facing networks totaled more than 4.7 million pounds (2.1 million kilograms) of batteries, a rise of 28 percent. Collections from municipalities alone saw substantial growth of 150 percent year-to-date. Additionally, the number of primary batteries collected skyrocketed in 2016 with a 158 percent increase. This growth was fueled in part by legislation that led Vermont to become the first state in the U.S. requiring producers to finance a collection and recycling program for single-use (primary) batteries. As the appointed stewardship organization for Vermont, Call2Recycle provides convenient drop-off locations for residents to responsibly recycle their batteries. As a result, more than 114,000 pounds of batteries have been collected statewide in 2016, an astounding 187% percent increase from the previous year. Canadian provinces with strong participation and commitment from retailers and municipalities fostered the rise of total collection results by 12 percent compared to 2015. Most notable results were in British Columbia, Manitoba and Quebec, where Call2Recycle serves as the approved battery stewardship program. Quebec led the charge in battery collections with more than 2.4 million pounds (1.1 million kilograms) collected, a nearly 20 percent increase. Manitoba also saw double digit growth over 2015, while British Colombia and Ontario each increased collections by eight percent. Providing easy and convenient recycling options to consumers through the establishment of close to 30,000 collection locations across North America, has also contributed to the organization’s continued success. Today, more than 88 percent of residents in the U.S. and Canada live within 10 miles (15 kilometers) of one of Call2Recycle’s public drop-off locations.